This one is pretty easy and not too much more time than using a pre-made grocery-bought sauce. 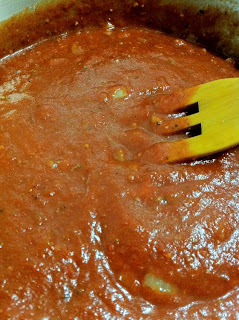 You can substitute the canned crushed tomatoes or plain sauce for fresh with tomato paste if you like. Preheat your sauce pan on medium high, then add olive oil until shimmering. 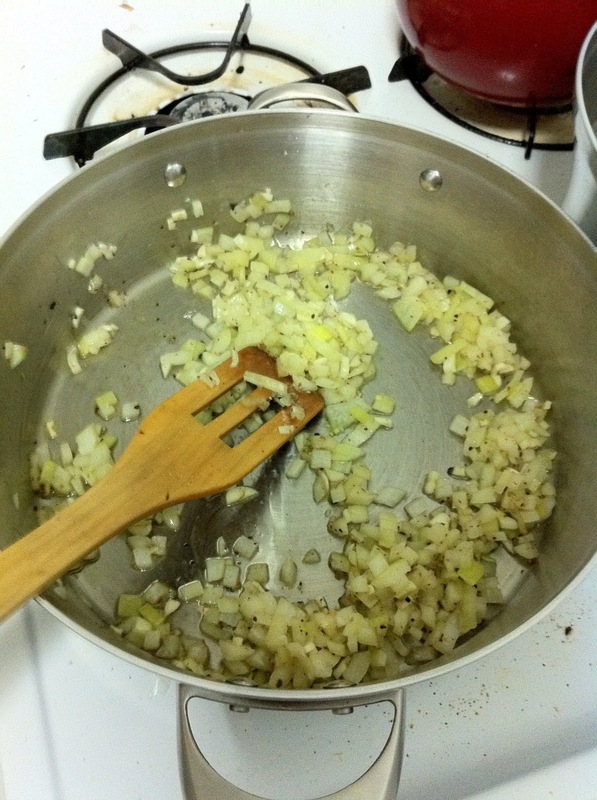 Add onions and garlic and cook until translucent. 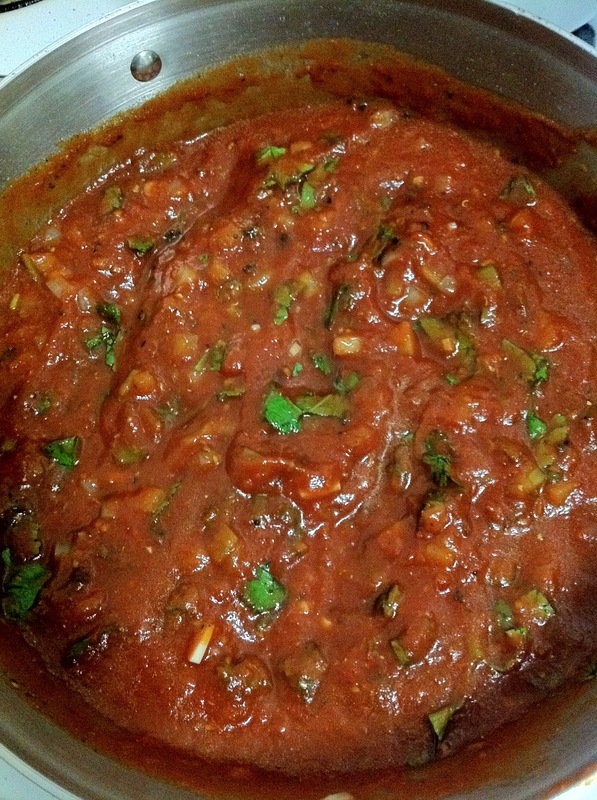 Mix in herbs (minus the parsley) and cook another minute or two. Then you should add in the tomatoes. Heat until at a light simmer, then add the parsley. Cook another 10 minutes. 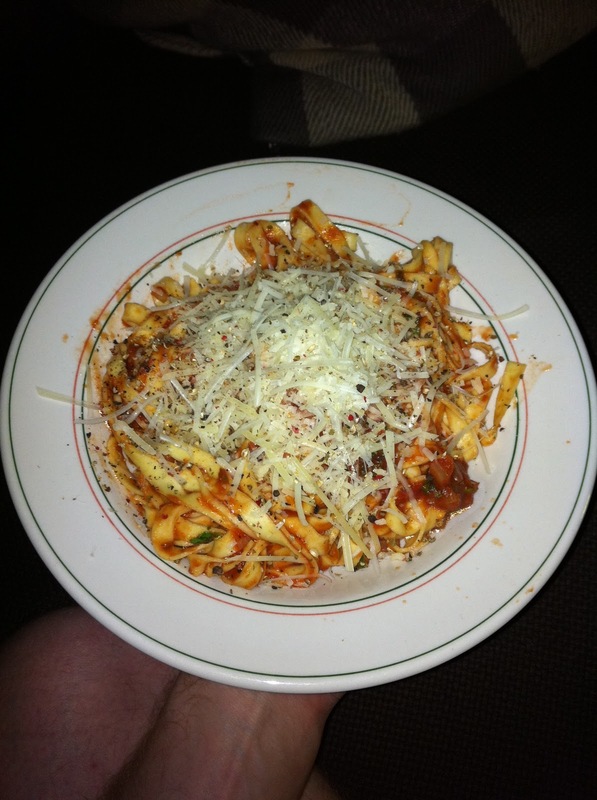 When ready you can add to any type of pasta. 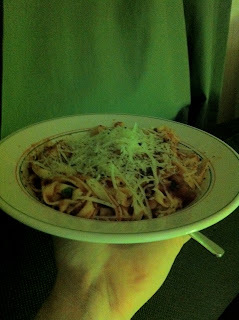 I used fresh fettuccine and sprinkled with shredded pecorino romano. Your soundtrack for this entry: Arkells - Oh, The Boss is Coming.